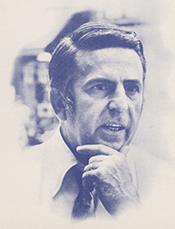 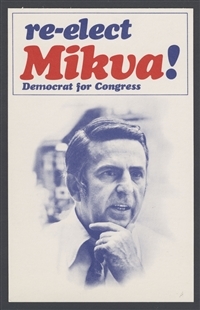 Abner Mikva, whose political career was described by the Chicago Tribune as “one long and continuous battle, usually for political survival,” represented suburban Chicago for five terms. 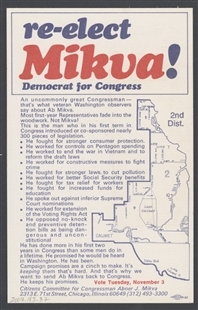 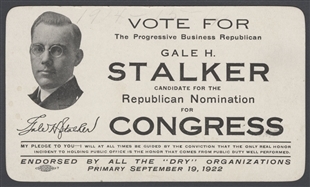 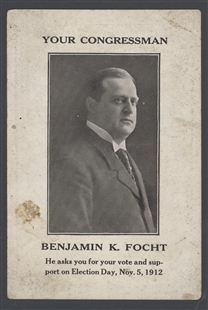 Criticized as too independent for Chicago Democrats and too liberal for some Republicans in his affluent district, this palm card was sent in support of one of his four re-election campaigns. 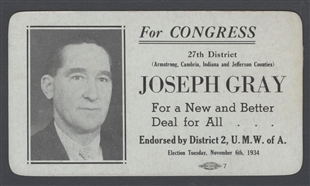 He left Congress during his fifth term to become President Carter’s nominee to the U.S. Court of Appeals for the District of Columbia.